This 2-unit, 8,000sqft. 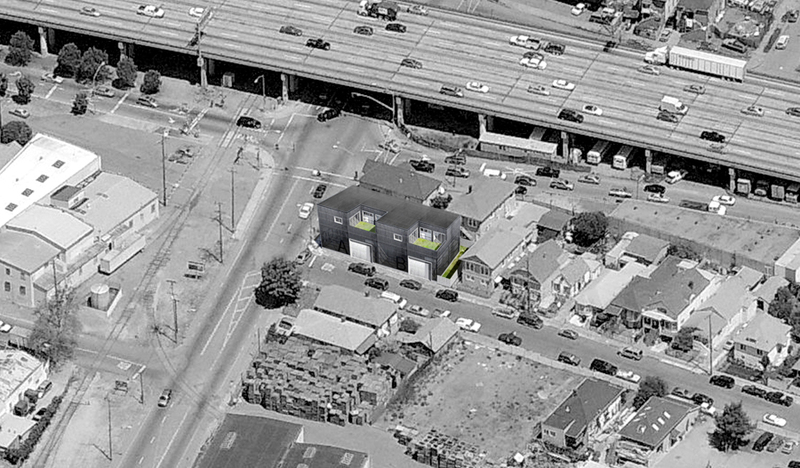 work-live project in Oakland aims to demonstrate the affordability and applicability of pre-fabricated metal building components in residential and work-live building typologies. The project explored multiple types of inexpensive cladding material and arrived at a beautiful, custom colored translucent black frp cladding that will illuminate in the evening. The project is set to be completed for less than $100/sqft – defying the typical $250-$500/sqft residential construction costs of the Bay Area.